As a camera fan, i have shot many videos in AVCHD format using my Sony FS100. Now I want to convert and burn these AVCHD videos to DVD for backup and sharing. I want to burn a dual layer DVD disc using the highest quality possible. How can i burn AVCHD to DVD so that they can play on any standard DVD player? The answer to this question is simple, you will need a DVD Creator to help you convert and burn AVCHD to DVD disc. Many DVD authoring programs will help you engraving MTS HD video on a DVD, they will not tell you that disc will not play on a regular DVD-Video player, because it employs AVC video encoding instead of MPEG-2 Part 2. 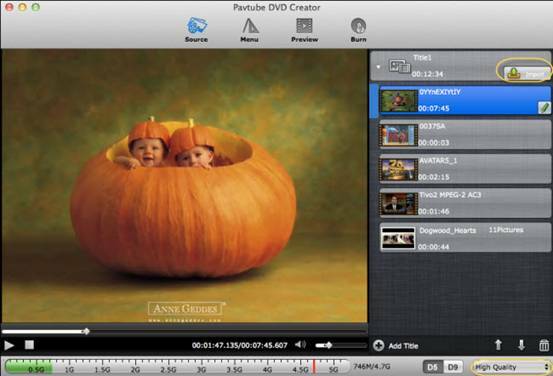 To make a playable DVD disc from AVCHD MTS files, Pavtube DVD Creator for Mac is your best choice. You can burn high quality with this MTS DVD-authoring program. If you are using a windows system, pls refer to burn MTS files to DVD on windows. Pavtube DVD Creator for Mac has Free version and Retail Version. You can download the Free Version to make sure you like the interface and features, then upgrade to Retail Version to get the enhanced feature to create DVD from MTS/M2TS/TS files. For detail difference, you can refer to here. Step-by-step Guide - How to transfer and burn AVCHD to playable DVD on Mac. Step 1, Transfer AVCHD files to your Mac. AVCHD videos can be shot by many camcorders such like Sony NEX-FS100,Sony HDR-CX160 ,Sony A77,Sony A57,Sony A65,Sony Nex-5N, Panasonic HC-X800, Panasonic HC-X900, HC-X900M,Canon HF10 and other AVCHD camcorders. 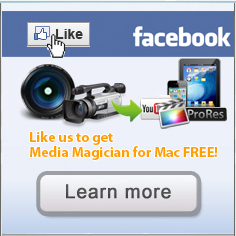 Usually you can use USB cable or card reader to transfer AVCHD videos to your Mac. Just click “import” button to open the browse and then you can find AVCHD files you want to burn, it supports batch import.AVCHD file extension can be .mts, .m2ts, .ts, .tp, .tod, .mod, .trp, etc. AVCHD records video at a range of resolutions including 1080p, 1080i and 720p. When burning AVCHD to DVD, select "High Quality" in the burning parameters to ensure the video quality. Pavtube DVD Creator for Mac enables you to crop, trim ,rotate and adjust the effect of the videos. You can add watermarks to illustrate the scenes or give the video a designed music you like. For a personalized DVD menu, you can change the menu buttons, thumbnails, add background music, custom background image, etc. to customize your DVD menu. Then you can preview your entire DVD movie project to ensure everything is perfect. If ok, pls insert a blank DVD disc into DVD drive, and switch to "Burn" tab. You can choose to burn NTSC or PAL, 5.1 channel is allowed, then click “burn” button to start converting AVCHD to DVD. With just a few clicks, you can create DVD from AVCHD files with personalized DVD menus, eye-catching video effects and high quality. Just enjoy the AVCHD videos and movies with your family. If you are looking for a free solution of burning MOV to playable DVD, pls check out Pavtube Free DVD Creator for Mac.